What's up photography friends?! The Milky Way is my favorite thing to shoot, whether I'm in the open desert or buried in the mountains within the trees I love getting my camera out and pointing it at the night sky. The Milky Way produces more colors and light than our eyes can see as it is made up of more stars than you can imagine, with us being tucked away in the corner of it we get some awesome viewing opportunities. This being said I wanted to share with everyone how I shoot the Milky Way, covering anything from the gear I use, recommended settings and even what time of the year you should be shooting during. I got frustrated with trying to find tutorials that made sense to me so I decided now that I've captured the Milky Way on countless nights that I should compile all of the information you'd need to capture the Milky Way. Be sure to check out the links in the gear category to grab all the necessities that you'll need for an epic photo session with the beauty above us. The only thing I won't cover is how to edit the Milky Way, this will be in a later tutorial, possibly a video to help explain how I tweak my photos to bring out the most extreme colors and detail within the night sky. The first thing you need to think of when trying to capture the Milky Way is time of the year and where you decide to shoot from. Being too close to a city will give you a glow that eliminates the ability for your camera to capture the stars that make up the Milky Way. Finding an area with dark skies and limited people is very necessary. Even crowded campgrounds can provide too much light for your camera to be able to capture what you are looking for. Another huge thing people forget about is the Milky Way is only visible during select times of the year. From October to February you won't be able to capture much, maybe some tail ends but the core of the Milky Way is impossible to capture from November until January. October and February have some viewing possibilities but only early October and late February. All of this is based on viewing from the Northern Hemisphere. If you are trying to get out to capture the Milky Way in the Northern Hemisphere target summer time. April through June are the best months to capture. Here you'll find lists of gear that I use as well as a good tip on what you should look for when considering what to buy when it comes time. Each product has a link that you can go straight to Amazon to grab what you need! The gear linked it the gear I personally use, the gear is specific to Sony products but it will give you an idea to what you'll need to look for when making the decision. We can't take photos of the Milky Way without some camera gear so here is what I recommend. Most DSLR camera's will work just fine as long as your lens can capture low light. Looking for a camera that can capture images great in low light is very important. We are capturing light from far far away that's barely visible to the human eye so this is something to take into account. 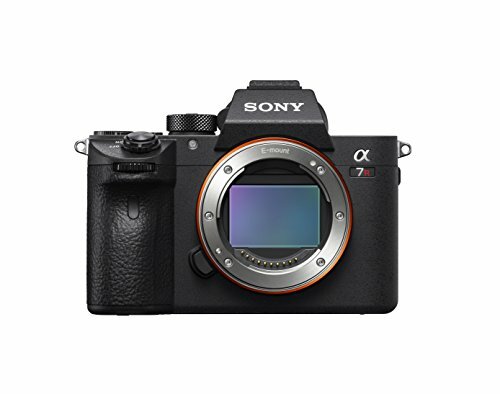 My camera choice is the Sony a7riii due to it's capabilities in low light. It also has an awesome focal point indicator that shows you what is in focus when manual focusing your camera. With a good low light camera you'll need a lens that is capable of collecting more light. Looking for lenses can be tedious but when you find good reviews on ones you are looking for from reputable sources it makes it easy. Before I purchase lenses I generally try to rent them, with lenses that you use to get Milky Way photos with they are generally wide angle lenses and those aren't found as often in your local camera shops for rentals. So you may look at companies online that will rent them out to you before you drop a pretty penny on one. 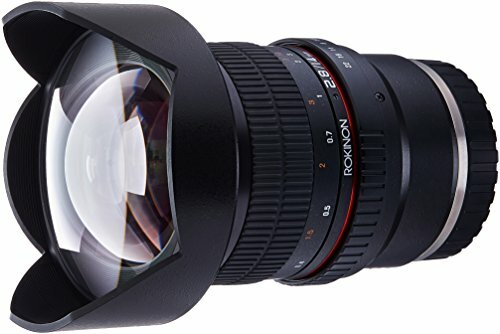 A very common lens used for the Milky Way is the Rokinon 14mm f2.8, it's actually what I use when shooting the night sky. This lens is available for both Canon and Nikon mounts as well. What you mainly want to look for is a lens from 24mm and lower, and a lens that reaches an f-stop of at least 2.8. I have captured the Milky Way with lenses that are in the range of 4.0 and a little higher but you just don't get the same intensity and coloring as your do with a good low light lens. Pairing a camera that does great in low light situations with a lens that can reach low f-stop numbers will assure that you can see the Milky Way. That is, as long as you have a tripod or something to steady your camera. 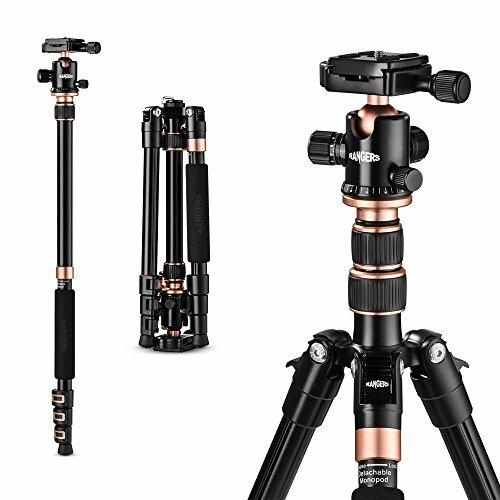 I use a basic tripod off of Amazon that was affordable and it works just fine so don't think you have to spend hundreds on some fancy tripod. Just be sure it has a nice ball head mount as well, this will help with adjusting for those extreme angles looking up at the night sky. Another key piece of gear is my remote shutter release, this helps keep the camera steady when trying to get those perfectly still photos. Camera shake from pressing the shutter button can effect your photos a lot when trying to grab crispy shots of the Milky Way. Another way to eliminate the shake your camera produces when pressing the shutter button is by setting your camera on a timer, this will allow your camera to be perfectly still once the timer goes off and the shutter releases. So if you don't have the money to grab a shutter release then just use the timer trick and the photos will still turn out as sharp as a tack as long as you're focused well. Something else that comes in handy when shooting at night is grabbing a head lamp. Not only to see what you're pressing on your camera or when setting up your tripod but also for using the red light on so that your night vision is still intact when looking for which spots of the Milky Way are the brightest. These headlamps have multiple uses as I always have one on when hiking through trails on my way to those sweet spots where no one usually goes. Not to mention last weekend I dropped my phone in the crack of two huge boulders and took hours to extract it. Grab a headlamp, this thing is important. I also enjoy carrying a little backpacking chair by Tillak that sits nice and low so I can look at my camera screen and buttons while shooting. It helps save my neck and is a little more comfortable than finding a nearby rock. Light weight and packs up small so I can shove it into the water bottle slot on the side of my pack. Tillak no longer offers their chair but there are plenty alike it that are small enough to carry with you on your hikes or to even use as a camp chair. The most important part is getting your settings to be spot on to gather as much light, have as little noise as possible and have a tack sharp photo. This took me quite a while, I first attempted with my Nikon d3000 and got photos I was impressed with but still questioned how to get to the level of having stunning Milky Way captures. What I was missing was basically everything, out of focus, not the right ISO and too long of exposures. The first part I'm going to talk about is your shutter speed. Often times people think the longer the better because you want to gather all the light you can but that's wrong. From shooting countless nights now I figured out that too long of a shutter speed will blur your photos. Our Earth spins and when you take too long of an exposure your photos will be blurred due to our rotation. Setting your camera above 25 seconds will commonly give you star trails. Star trails are awesome but we aren't looking for that here, we want the most crispy shots possible. This means that I don't follow the common "500 rule" which is when you take the focal length of your camera and divide 500 by that number. So given that I use a 14mm lens I would divide 500 by 14 and get 36 seconds which would give me some insane star trails so I wouldn't follow this rule. Try to go to 20 seconds and then adjust from there. ISO is a tricky one, it's harder to grasp the concept of but I'll do my best to explain it. ISO is the sensitivity of your sensor or film, if you happen to be shooting film. Digital cameras have a large range when it comes to ISO and keeping it as low as you can is often better. When I first started trying to capture the Milky Way I would set my camera at an ISO of 100 and found I had no Milky Way in my photos. After several camping trips I finally figured out setting my camera between an ISO of 3200-8000 gave me that beautiful image of the Milky Way I was looking for. Aperture is an easier one to grasp. Now we talked about finding a lens that has a low f-stop or in other words is a "fast lens." This means the lens has a number in the range of 1.4-2.8 which is what I categorize as a fast lens. Think of aperture as your eye-ball, the lower the aperture number the more light you'll be gathering. Comparing that to your eye-ball, the wider you open your eye the more light you'll gather, vise-versa the more you squint or the higher number aperture you use, you'll gather less light. So, when shooting the Milky Way I tend to use a low aperture or fast lens, in my photos I typically use my Rokinon 14mm f2.8 wide angle, the f2.8 is fast enough to gather the light I need to get the images I look for. White balance tends to be a little bit of a grey area. with newer cameras producing great auto white balance abilities it makes it just as easy to tweak these in post processing. Although my photos typically range from 3900K to 4100K when I'm done with them so target somewhere in there or wherever you feel hits the right spot. Oh boy, the last setting tip I have and quite honestly what took me the longest to get the hang of. How are you supposed to focus on something millions and possibly billions of light years away? I feel like focusing on someone's eyes 10 feet in front of me is already hard enough! Well, my Sony a7riii has an awesome setting that shows little red dots when in manual focus mode so it makes it easy-peasy. But, most cameras don't have this setting so what I found that works for me when I didn't know about that feature was by focusing on the moon. Point your camera at the moon or a very far away light source, focus in on it and it will be pretty sharp when shooting the Milky Way. Now you may still not be totally in focus but, all you need to do is try adjusting your focus little by little until you get some crispy shots. It'll be frustrating but just take your time and enjoy getting sharper and sharper images as you narrow in your focus, it's a super rewarding experience. One big important factor in getting beautiful shots of the night sky is making sure you are shooting in RAW, JPEG will eliminate parts of your photo that you need. JPEG settings will automatically reduce noise in your photo causing a blur to take out some of that noise. This is better to do in your editing time after taking the photos. Editing! Editing is a huge part of getting these stunning shots, I use Lightroom, like a lot of other photog's out there. I highly recommend it, $9.99 per month for both Lightroom and Photoshop it's well worth your money if you are into photography. It'll satisfy all your needs for astro photography unless you are stacking photos. The biggest tip I have for you is to not get frustrated. I would get tired of having my photos remain as these strange blurry, dull and annoyingly colored photos but once I sat down and really nailed my photos I found I was happier than every before behind the lens. The Milky Way is my favorite thing to shoot and is easily the most powerful thing I've ever shot. To think there is that much light out in our galaxy and what lies beyond our planet is something that brings my mind back to being a child again dreaming of being an astronaut. Capturing the Milky Way doesn't take the best gear, you don't have to spend fortunes to make it happen, buy used gear, check out Amazon deals and practice with what you have until you have the money for new gear. Exercise that creativity in your noggin, the Milky Way is a great way to exercise that creativity waiting to be released. Happy shooting friends!